As the guests arrived they were greeted with a blue cocktail, courtesy of CFE, and the cool sounds of jazz emanating from the stage at the back. But the first band of the evening didn’t play long and soon any music would have been drowned out by the crescendo of old business partners and friends welcoming each other, gossip being swapped and new acquaintances being made. For those who appreciate a more golden sparkle to their first drink, more traditionally coloured wines were available. 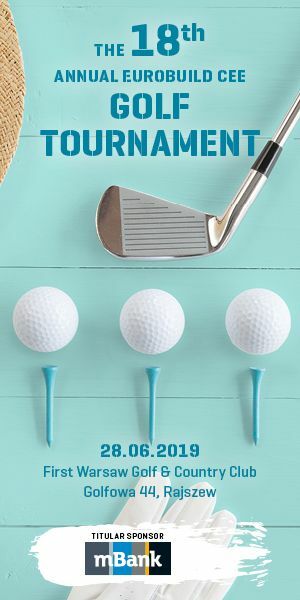 The Eurobuild Awards Gala is not just about recognising the most eminent real estate achievements of the year, it is also a charity fundraising event, and as usual the money raised was donated to the Iskierka Foundation, which supports seriously ill children and their families. The first chance to make a donation to this very good cause was by the door, where raffle tickets were on sale as well as calendars featuring pictures of those who the money was to go towards. Eventually the guests were called in to sit down to dinner and the awards ceremony could finally get underway. The main musical act for the evening opened the proceedings. What had looked like a hoarding on the stage for the main sponsor, JLL, actually turned out to be a series of rooms behind a semi-transparent tarpaulin, which when backlit in various colours revealed the members of the Earthquake Brassband. The band, which was to play throughout the awards ceremony, combined the arresting power of trumpets with the driving beats of its extensive drumming section. And the Dutch band gave a very powerful curtain-raising performance by launching into a medley of well known tunes. 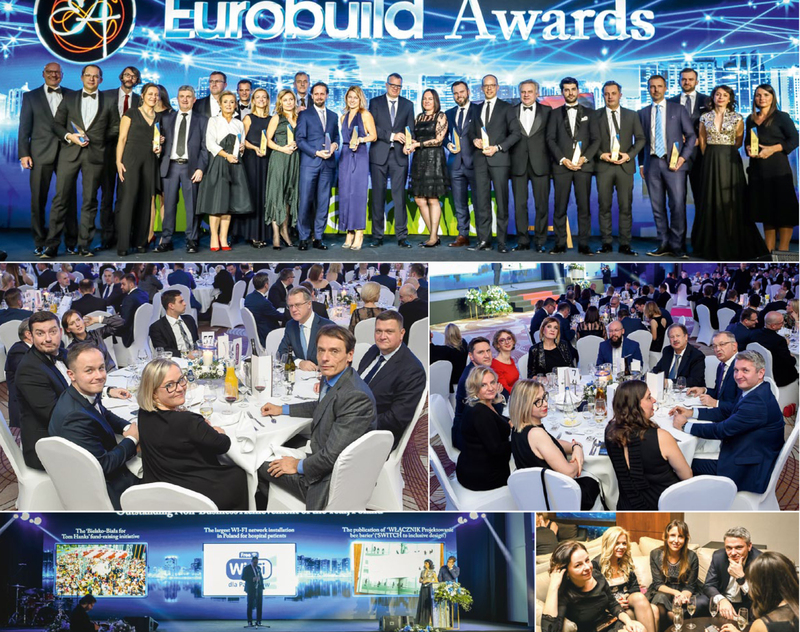 When the stage-lights finally went on, the editor-in-chief of Eurobuild magazine Ewa Andrzejewska and Piotr Kraśko, a popular TV presenter known for such programmes as Dzień Dobry TVN and TVN 24 Bis, took to the stage to host the ceremony. Immediately the audience was called upon to play their part, as it was already time for the popular vote. Each person had before them an electronic pad that looked a little like a calculator to cast their votes – and the choice they had to make was for the coveted Real Estate Personality of the Year award. This honour went to Jolanta Nowakowska- Zimoch, the head of the real estate practice of law firm Greenberg Traurig, who has advised on many of the transactions that have shaped the Polish real estate market. The next task for the audience was to vote for the Outstanding Non-Business Achievement of the Year, which they awarded to Gemini Holding and Bielsko-Biała for the Tom Hanks Fundraising Initiative for raising almost PLN 120,000 for a children’s hospital and that involved Hollywood actor Tom Hanks being presented with a fully restored Fiat 126. 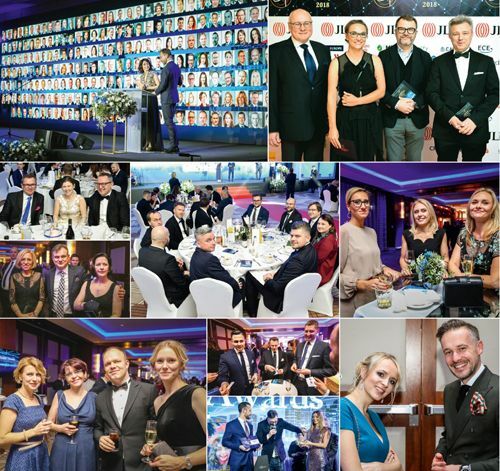 Globalworth Poland took the prize for the Best Newcomer of the Year, having built up a portfolio worth around EUR 2 bln in the space of just twelve months. The responsibility was then taken out of the audience’s hands, as it was time for the votes of the jury to be revealed. This year the jury comprised 238 real estate professionals, all of whom were displayed on screens behind the stage. And then one-by-one those who had managed the most to impress this body of experts made their way to the stage. Once the main awards had been handed out it was time for the evening’s second musical act: Stefano Terrazino, who performed his rendition of ‘Nel blu dipinto di blu’ – better known as ‘Volare’, a song made famous by winning the Eurovision Song Contest in 1958 when it was performed by Domenico Modugno. After this performance, comedian and TV star Szymon Majewski, in his role as ambassador for the Iskierka Foundation, took to the stage just as he had done the year before, to take on the role of the auctioneer of a portrait by renowned photographer Tomek Sikora. The winning bid of the charity auction, which was supported by Gleeds Polska, was made by arguably the man of evening, Robert Dobrzycki, who agreed to pay PLN 60,000 for the picture. He also entered the winning bid in the silent auction for a nine-litre bottle of Collazzi wine, for which he generously paid out PLN 50,000. 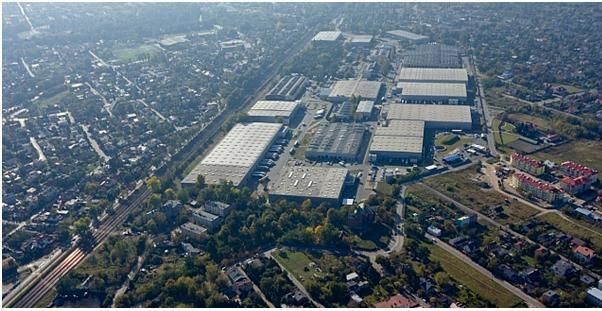 Despite not being voted Real Estate Personality of the year, he and his company Panattoni Europe (where he is CEO for Europe) walked away with two other awards: Warehouse Developer of the Year and New Warehouse of the Year, which was won by a Panattoni BTS development for Amazon. The generosity of one other donor also deserves a mention: Roger Andersson, the managing director of Vastint Poland, who made a personal gift of PLN 40,000. Another PLN 13,000 was raised through the charity raffle. So altogether, through the generosity of the guests of the Gala, around PLN 163,000 has been donated to the Iskierka Foundation.